I’m dating myself with these photos, but I’d like to raise a question about the increasing size of engines in motorcycles over the years. I had these two bikes long ago (and yes, I wish I still had both of them). They were great fun, as you can plainly see. The Honda Elsinore was the first year that motocrosser was introduced and it was a trip – insanely fast for the time. 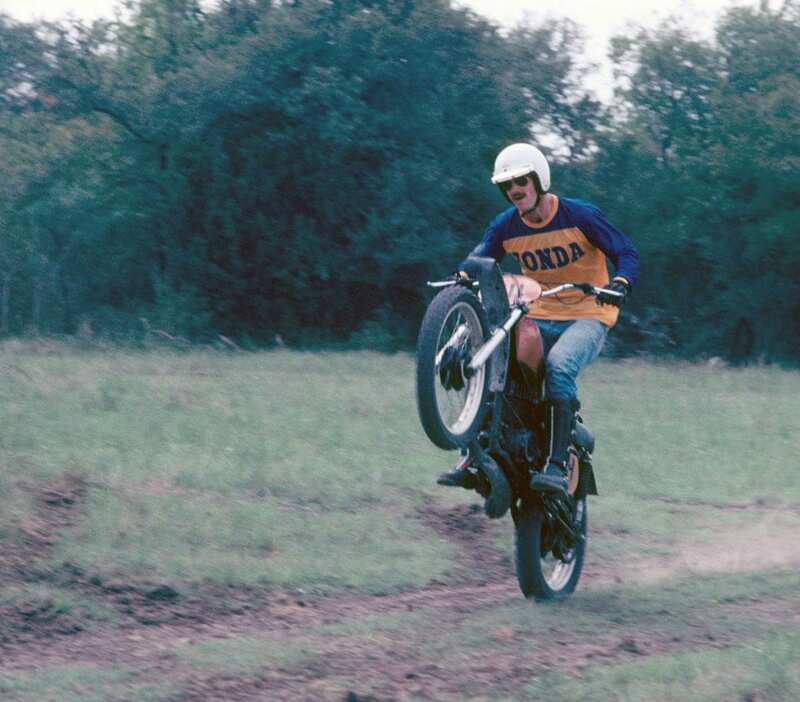 One day in Texas they let motocross bikes onto an oval dirt track for a session. I remember it as an hour of power sliding through the corners and wheely-ing down the straights. I burned two gallons of gas and five gallons of adrenalin. The Yamaha Cat I’m riding was an observed trials bike. This is a competition where you attempt to negotiate impossible obstacles on a marked course, without putting a foot down. Unlike motocross, you ride very slow, but it’s just as much fun. The riders who are good at this perform amazing feats with their motorcycles, like riding up enormous boulders and hopping across gaps. The point of these vintage photos is that the engines of both bikes were only 250cc. 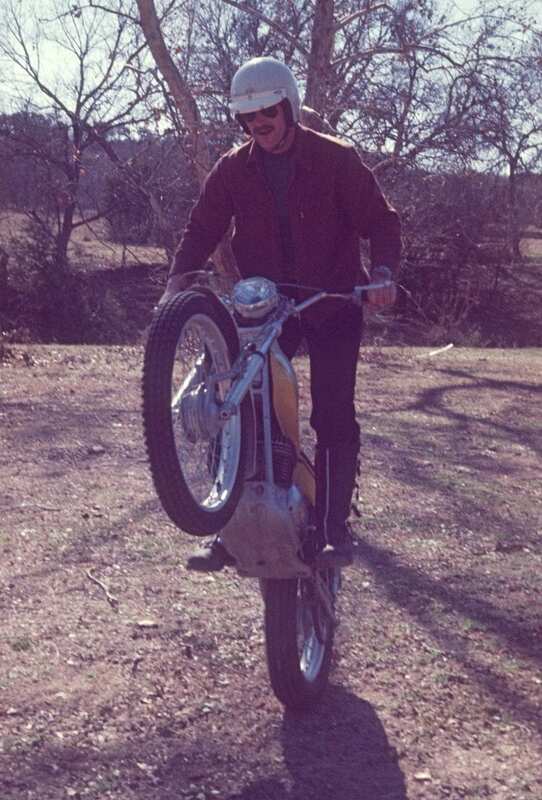 Back then a big motorcycle was 650cc, maybe 750. Today, the big Harley twins are approaching 2,000cc. BMW boxers, which started at 500cc, are now 1250cc. The Triumph Bonneville – the bike every kid lusted after in 1965 – was 650cc, but the current version, the T-120 Bonneville, is 1200cc. The small engined motorcycle is still popular around the world, but it sure seems like engines have gotten bigger and bigger over the years. Not that I’m complaining. All the torque and horsepower of a modern big bike makes for exciting riding. The 250’s pictured above put out around 25ish horsepower and the bike I’m riding now puts out well over 100. But those little engines were just fine as you can see. Maybe it’s time to go small again.